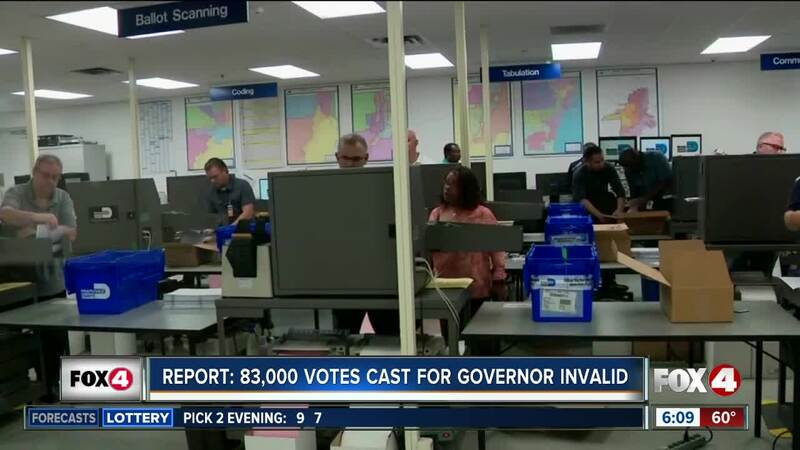 A new report compiled by Florida officials says more than 83,000 voters didn't cast a valid vote for governor. TALLAHASSEE, Fla. (AP) - A new report compiled by Florida officials says more than 83,000 voters didn't cast a valid vote for governor. The "non-valid votes" include those who wrote in such names as Mickey Mouse or who simply left the ballot blank. It also includes those who voted for more than one candidate. There is no clear way to determine from the state-collected data if these votes could have changed the outcome. The report by the Department of State is compiled from data collected by all 67 counties and is required after every major election.